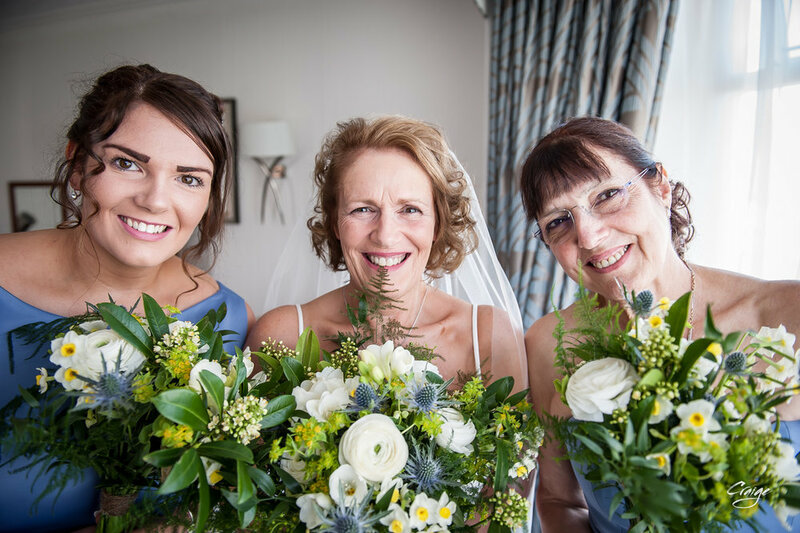 Now the girls at Cheadle Bride couldn’t let our very own Catrin get married without making her our bride of the month! 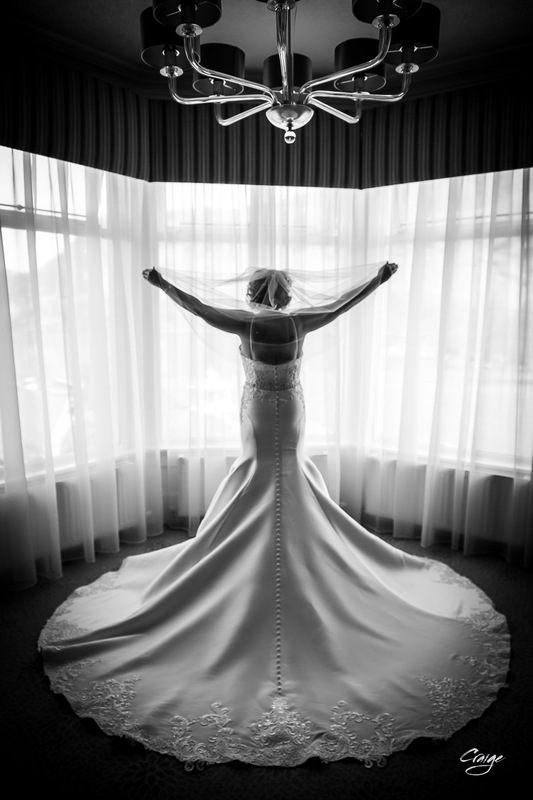 it also means you can have a sneaky peak at her big day! We wish the new MRS and MR Burns every happiness for their bright future together - we are so happy for them both! I looked at the list and to my surprise I had been chosen by the team to be Bride of the Month for April. Choosing my dress – Gwen and I were in the shop one Tuesday afternoon and we had no appointments so I was told Mam you need to try some dresses on! So that’s what happened. As a bridal shop owner you’d think that I would know exactly which dress I would want, Wrong. When it’s your dress it’s a different matter and yes like many of our brides I ended up with something that I thought I’d never wear. Gwen knew exactly what would suit me and how right she was “Darwin” by Essense of Australia I felt a million dollars on the day! 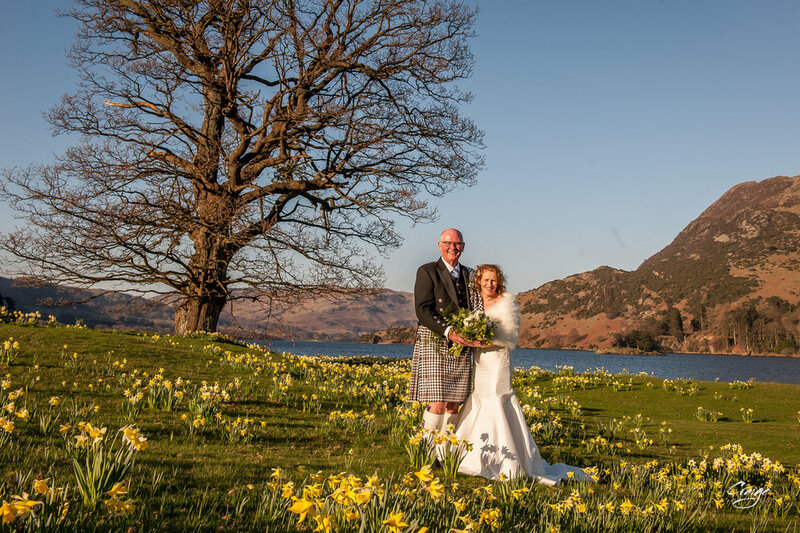 John and I were married at “The Inn on the Lake” in Glenridding on a magical spring day and Gary and his team made our day so special. I hope that you enjoy a glimpse of our magical day in the Lake District.